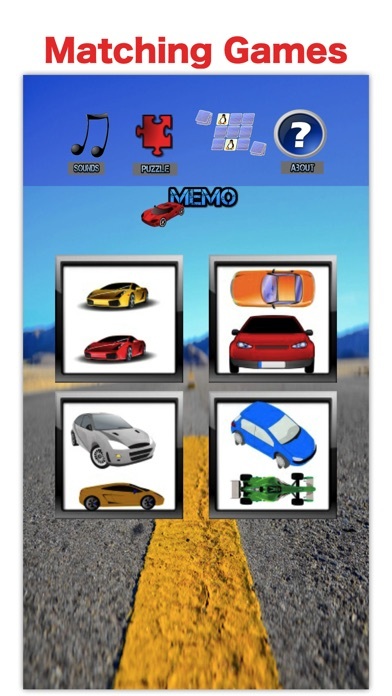 Fun kid: car & vehicles puzzle games - Is your little racer a big lover of extreme autos? If so, he or she is sure to love all of the games found in the car games. This exciting activity app is filled with engaging car driving and engine sounds your little driver can explore in the race...but the car engine sounds and puzzles doesn't end there. 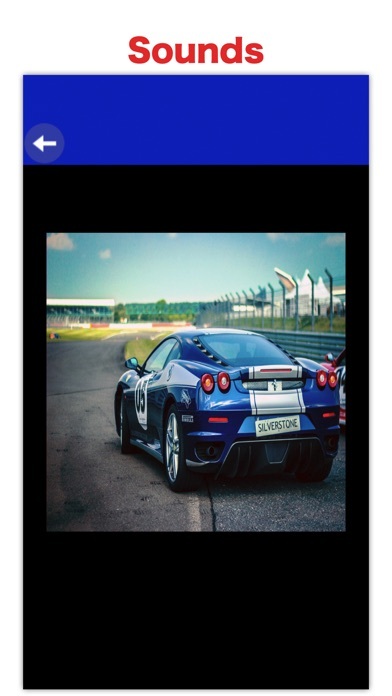 The activity app also comes with an fast car matching game , and many beautiful, real sport car puzzle games. Designed for 2 years and up. Gameplay is very simple and suited for younger children - when the sound of a car or horn is played your kid needs to touch on a friendly picture. 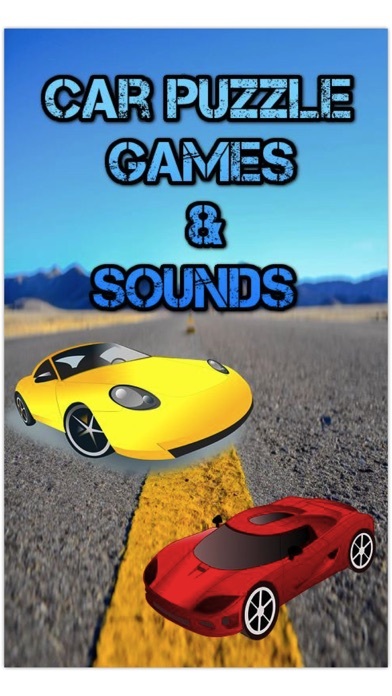 Main features: - Real, high quality sounds of racing car - 4 fun memory games of car pictures - 10 Real, high quality puzzles for 3 difficulty level with extreme sport cars, classic cars and muscle car - Ad support app, support development of future updates and new games for kids. 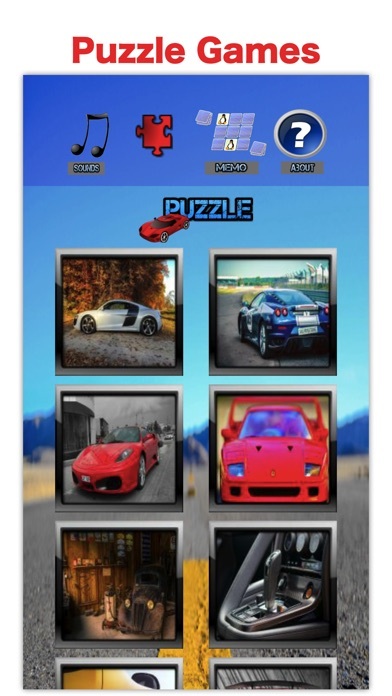 Another amazingly cool feature to the fun kid: car & vehicles puzzle games makes it even more awesome then just matching- your little boy must find the icons that link for their match choices! And when they do make a linked match the little game shows them the link. This important element, and the matching itself, provides a real educational bonus and playing car games for kids 5 and under boys also promotes: - Fine motor skills. - Memory and recognition skills. - Hand eye coordination. - Early math concepts. 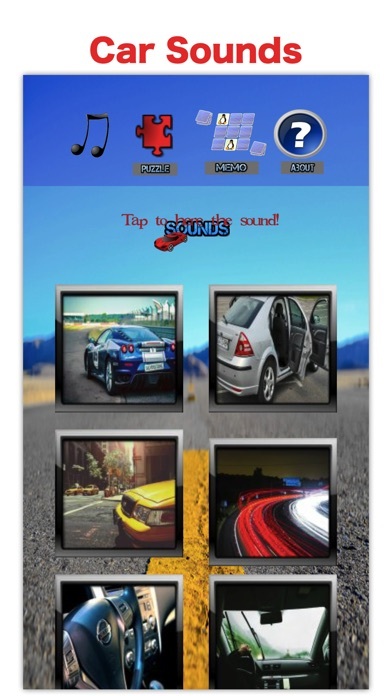 - Driver knowledge This application is under active development, we always welcome your suggestion to improve "car and vehicle sounds and puzzles" application. Please send us email on appkeszito101 [-at-] gmail.com Don't wait! Download now and enjoy!